There are so many enticing books in the world and not enough time to read them all. I no longer try to finish a book that doesn’t speak to me on some emotional or intellectual level. And rare is the book that keeps me glued to every page. 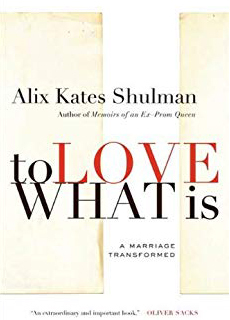 Alix Kates Shulman’s memoir “To Love What is: A Marriage Transformed” gripped me from the beginning because we shared an unflagging devotion to our husbands who had somewhat vanished after their TBIs. I wish I had found this book in the first month of my husband’s severe TBI, and yet I may not have absorbed it the way I did reading it fifteen years post-injury. My life before my husband’s brain injury was quite the opposite of Shulman’s. I was not an active feminist; I lived in the suburbs and didn’t devote my time to writing back then. And, yet, she perfectly expressed the inner thoughts and feelings I experienced during the first year following my husband’s accident, and beyond. She registered shock when she saw herself through other peoples’ eyes and behaved in ways she might not have predicted had someone told her what would happen to her and her marriage someday. Every couple who stays together long enough has intimations that a catastrophe is waiting; it’s right there in the wedding vows: For better and for worse, in sickness and in health, till death do us part. Having taken the oath, however cavalierly, you know that unless you separate, one of you is going to wind up taking care of the other, or one of you is going to wind up surviving the other. But which one it will be, when it will happen, how long it will last, and at what cost is unknown, though the odds predict that she will take care of him, then he will die, leaving her alone. But like a curse in a fairy tale, you don’t really believe it’s coming; you try to ignore it until it’s upon you. In the enchantment of life, you forget. This is the crux of it, isn’t it? We humans have our defense mechanisms. And today, I’m grateful for it: “In the enchantment of life, we forget.” Even now, fifteen years after a car struck my husband as he rode his bicycle home from an afternoon workout, I have forgotten. Once again, he rides his bike on the street, near traffic — a scenario I never imagined I’d accept again. I’ve fallen into “the enchantment of life” buoyed by his good health. It wasn’t long before she feels devastated by the thought: “I have no life.” She and her friends were defining life as work, as art, in the creative and intellectual spheres of her former social life. But she did have a life. It never stopped. In beautifully drawn passages she describes how her injured husband told her they were the luckiest people alive because of their love for one another. As she takes in the words of friends who call her a hero or a saint, she gains an understanding. She’s neither. “It’s the contract and consolation of love,” she concludes. I’ll leave the rest to future readers of this artfully written book that honestly depicts the hard reality of marriage after brain injury: all of its pain and loss, but also the depth of love that can evolve in some relationships. I’ve often remarked to my own friends that Hugh’s TBI felt like a moment of truth to me; I knew in a flash in the ICU how much I loved him, and that feeling has remained and flourished since — in the enchantment of the new life we have created together. One day it happens: the dreaded event that will change your life forever. For Alix Kates Shulman, it happened in a remote seaside cabin on a coastal Maine island―where the very isolation that makes for a perfect artist's retreat can also put life at risk. Shulman woke to find that her beloved husband had fallen the nine feet from their sleeping loft and was lying on the floor below, deathly still. Though Scott would survive, he suffered an injury that left him seriously brain impaired. He was the same―but not the same. In this memoir, Shulman describes the ongoing anxieties and risks―and surprising rewards―she experiences as she reorganizes her world to care for her husband and discovers that what might have seemed a life sentence to some has evolved into something unexpectedly rich. Raised in Cleveland, Ohio, Alix attended public schools and planned to be a lawyer like her dad. But in college at Case Western Reserve University she was smitten by philosophy and upon graduation moved to New York City to study philosophy at Columbia grad school. After some years as an encyclopedia editor, she enrolled at New York University, where she took a degree in mathematics, and later, while raising two children, an MA in Humanities. 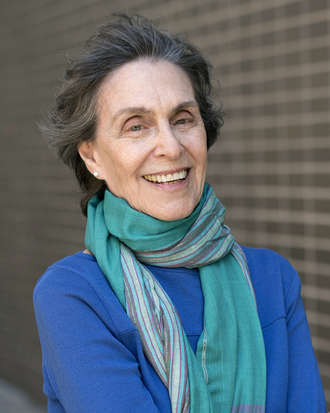 She became a civil rights activist in 1961 and a feminist activist in 1967, published her first book in 1970, and taught her first class in 1973--all lifelong pursuits that have found their way into her books. Having explored in her novels the challenges of youth and midlife, in her memoirs she has probed the later stages in the ongoing drama of her generation of women, taking on the terrors and rewards of solitude, of her parents' final years, and of her late-life calling as caregiver to her beloved husband, with whom she lives in New York City.